Alan Booth, Principal of Central Environmental Surveys, gained a BSc at Sussex University and an MSc in Natural Resource Management at the University of Edinburgh in 1988. Prior to the establishment of this successful consultancy in 1993, his career in Natural Resource Management included employment as: Warden for the Nature Conservancy Council; Experimental Agronomist with the Ministry of Agriculture, Fisheries and Food; Senior Ranger for a local authority. Alan Booth has been a member of the Chartered Institute of Ecology and Environmental Management since 1992. As a professional body it seeks to improve the practice of ecology and environmental management. The consultancy can draw upon the experience of a wide range of self-employed ecologists whose specialisms can be tailored to individual contracts. Alan Booth through Central Environmental Surveys offers a service in the fields of nature conservation and countryside management. Specialisms include the production of management plans, habitat surveys, ecological monitoring and assessment, GIS applications and biological computing/databases. Alan Booth gained his B.Sc. at Sussex University in 1976 and has followed a career in site management, working for the Nature Conservancy Council as a Warden for four years, following 20 months working closely with farmers as an experimental agronomist with the Ministry of Agriculture, Fisheries and Food. He more recently managed a Countryside Ranger Service and was responsible for a Local Authority’s land and recreation management over some 2,000 acres of coastland. He has written Management plans for Flanders Moss NNR, Blawhorn Moss NNR, Springhill Burn Moss and many other peatland sites. He has for, thirty five years, been involved with peatland management starting with restoration and maintenance work on Cors Fochno NNR is Wales. 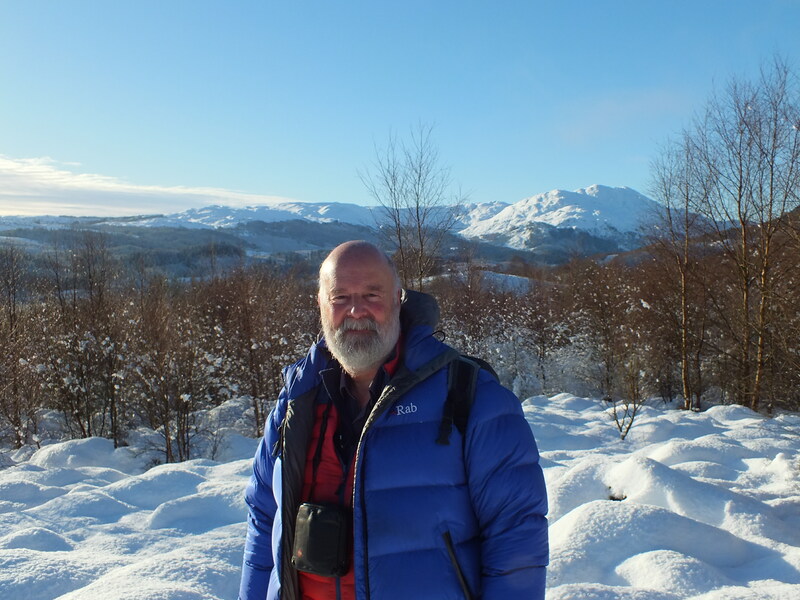 Alan has been involved with Scottish woodland classification and management since 1990 when he undertook an in depth survey of the ancient woodland inventory sites within Stirling District. All sites were mapped to NVC sub communities and their past management identified. This work lead to classifications of potential woodland types based on the site’s location and aspect and the present ground flora of open land. CES has maintained its interest in Coastal ecosystems working on a number of duneland projects in Scotland and more recently assisting in the completion of the Scotland Shingle Survey with the University of Southampton. Alan has worked with bats since 1986. He has investigated potential bat roosting sites to see if they require further survey and licensing. He has undertaken a Bats and Arboriculture course on the investigation of potential bat interest in trees. CES has worked with John Haddow beginning with Historic Scotland sites in 1990 and including roped access for tree and viaduct surveys. Since 2000 Central Environmental Surveys under Alan Booth has undertaken a broad suite of surveys for protected species at both scoping and more detailed emergence surveys. He has built up a good knowledge of bat use of railway structures and has organised detailed surveys of many railway bridges including Carrick and Enterkinfoot Viaducts which required close inspection and long term emergence surveys assisted by anabat recordings. CES work closely with Stuart Spray for roped access survey to structures such as railway viaducts and more recently with Andrea Huspeth for tree surveys. Alan also records and interprets bat data captures from anemometer towers on windfarms using SM2 and other recording equipment.